Philodendron Xanadu creates a tropical feel in any garden. Lush, compact, tidy growth with glossy lobed leaves. Great when used to mass fill areas. 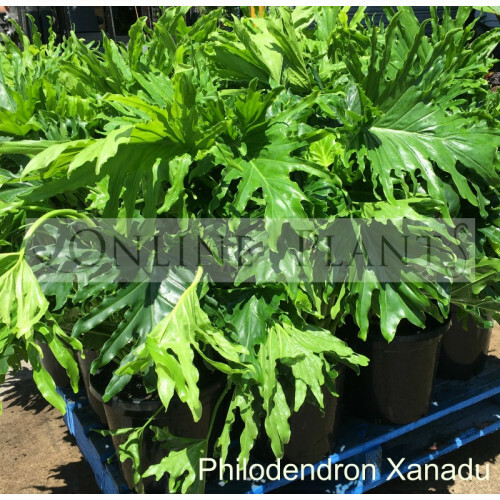 Xanadu is a great plant for pool surrounds and patio areas. Grows well in pots also, provided they are positioned in bright, well lit areas. At maturity reachs 80cm-1mt tall in full sun or partial shade. In moist well drained soil, rich in organic matter.